Most of us want to believe in the goodness of people – in our kindness, compassion, generosity. It’s one of the longest-standing commitments of liberal religion. But then….reality hits. Friends disappoint us, or worse. Partners fail us. Our community struggles to live up to who we say we want to be. And in the wider world, we come face-to-face with ignorance, selfishness, short-sightedness….It turns out, love cannot fix everything. And worse – we remember that none of this is new. History shows that people are often downright terrible to each other. All this leaves us feeling lost, maybe even foolish. We find ourselves becoming either overly-judgmental, or entirely closed off and checked out. They were a generation away from the civil war, finding their way in pre-colonization American west, still over two decades from women getting the vote. And they knew, just like we know today, what it means to struggle with the complexities of humanity. To feel called to serve people. To believe in our goodness. And to believe we can be better. To practice being better – together. These are the practices that still call us together. The practices of holding both our hope and our heartbreak for humanity in the same breath. Refusing to write each other or our relationships off – even as we learn how to call each other in (rather than out). Transforming pain so that we do not transmit it. Staying put – even through the heart break – so that the good stuff can take hold. 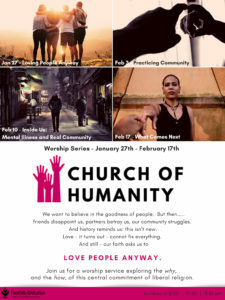 Over the next four weeks, we’ll be exploring these practices, and their underlying questions in our new series, Church of Humanity. We’ll kick it off this Sunday January 27th with a service on loving people, even when they break your heart. For this series, check out this song from The Alternate Routes, Nothing More. It manages to express both the hope and the struggle of humanity, and acknowledges that in the end, we are nothing more or less than the way we treat each other. 1. One of the questions we’ll be exploring in this series is how we can hold each other accountable when we hurt each other. Check out this podcast on the impact of calling each other out. 2. We’ll be wrestling with the classic Universalist 19th century writing, Treatise on Atonement by Hosea Ballou. If you haven’t read it, or it’s been a while, check it out here. 3. Valerie Kaur’s inspiring TED Talk on Revolutionary Love offers a vision both for how to engage with individual human acts that cause us heartbreak, as well as humanity more generally. It’s a can’t miss! 4. If you’re looking for a deeper dive, Unitarian Universalist minister Nancy McDonald Ladd has a new book out on liberal religion and human nature, After the Good News. It’s accessible, challenging and rich. 5. Krista Tippett’s interview with poet Claudia Rankine, “How Can I Say this So We Can Stay In This Car Together?” addresses the challenge of staying in relationship even in the midst of significant differences, as well as the way that race impacts relationships. As a bonus, check out Claudia Rankine’s 2014 collection, Citizen: An American Lyric. 6. In our service on February 10th, we’ll be exploring mental health and its impact on relationships. In anticipation, check out this collection of stories about the gifts and the challenges available in different kinds of minds. 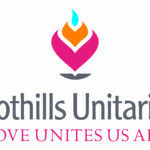 Each of these Sundays, we hope to lean into some of the most pressing questions of life today, and one of the greatest challenges of our Unitarian Universalist faith. 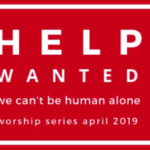 It’s a great series to invite a friend to, especially one who is struggling with reconciling their care for people in a general sense, with their disappointment or even, anger at people in the specific. Which means, it’s a good series for most of us these days. Join us every Sunday – in person, or online. 8:30, 10:00, or 11:30 am.